1 min California is the second biggest consumer of oil in the U.S. after Texas. 59 mins Saudi, UAE Overstate Their Oil Capacities? The imminent departure of Great Britain from the European Union has sent shockwaves through global financial markets. Upon learning the news of the referendum on June 23, the value of the pound sterling tumbled over 11 percent and stocks slumped across the globe, losing an estimated $2 trillion. Oil was not unaffected, WTI dropping by almost 5 percent to $47.64. This decline continued on Monday, with WTI falling further to around $46. The pound on Monday fell to a 30-year low as news of an imminent UK recession spread, dropping to $1.32 to the dollar. Those losses reversed course on Tuesday, but volatility remains. Economists cannot agree on what the long-term consequences of the Brexit vote will be, though most agree it will likely harm the UK as it loses privileged access to European markets, the destination for half its imports. Britain’s energy consumption will decline only slightly if it’s growth falls below 2 percent, with most estimates predicting a fall of 16,000 barrels a day. In the current near-glut conditions, this will likely have a beneficial effect on global markets. Even the UK oil industry will probably weather the storm, retaining control over taxation, licensing and regulation of the North Sea oil fields. 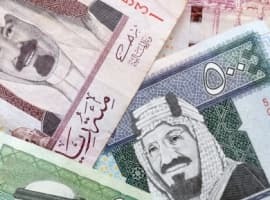 The Kingdom has indicated, however, that it has revised its investment policy in euro and sterling-denominated assets, reflecting the uncertainty likely to dominate those currencies in the months and years to come. 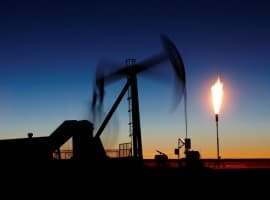 OPEC’s earnings from oil fell dramatically between 2014 and 2015, and as Saudi Arabia attempts to navigate a complicated transition to an “oil-less” economic model, potential uncertainties in developed economies like Britain and the EU could pose massive obstacles to the Kingdom’s long-term plans, which are partially hedged on the availability of export markets in the developed world, tourism from Europe, Asia and the United States, and attractive investments for the Saudi sovereign wealth fund. If Britain falls into recession (as seems likely), and if the Eurozone enters a new period of instability and uncertainty, with the potential of further “exits” from dissatisfied members, the situation facing the new Saudi economy could be grave. Other Gulf producers like Kuwait, Qatar and the UAE don’t face the same problem, as their governments have paid only lip service to the idea of moving permanently away from energy exports. The Gulf reaction to Brexit will be passive, for now, but the implications for the global economy will likely impact the Saudi Vision 2030 plan. Like Saudi Arabia, Iran will likely be little affected by the economic shocks on Britain, unless they spread to other markets. Iran’s energy policy has it looking towards new long-term customers in India and Oman, and if global trends hold these markets will remain favorable to Iranian exports. 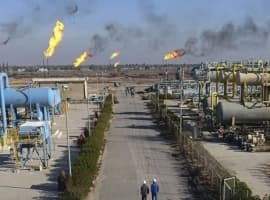 Brexit is for Tehran an opportunity to gloat over the apparent decline of an old political foe, but will have little economic impact on the Islamic Republic’s march toward its new energy destiny. Does The U.S. Really Need A Strategic Petroleum Reserve? Did Brexit Kill The Oil Price Rally? Can The Natural Gas Rally Continue?